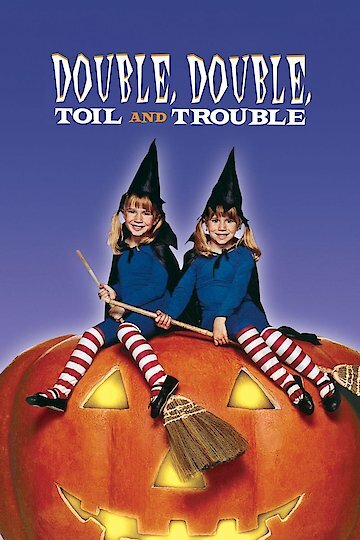 Double, Double, Toil, and Trouble is a childrens film released straight to television. It features the twins of Mary-Kate and Ashley Olsen who must set out to save their Great Aunt Sophie who has been imprisoned by her evil twin sister. The spell can only be broken by a set of magical twins. Marking Great Aunt Sophie's seventh year of imprisonment by her evil twin sister, the twins have only but one Halloween to save her. Double, Double, Toil and Trouble is currently available to watch and stream, buy on demand at Amazon, Vudu, Google Play, iTunes, YouTube VOD online.